I would prefer it in a spray can. Im doing my wheels this color. tiffany green is the actual color name. !!!thanks. thats exactly what I was looking for. 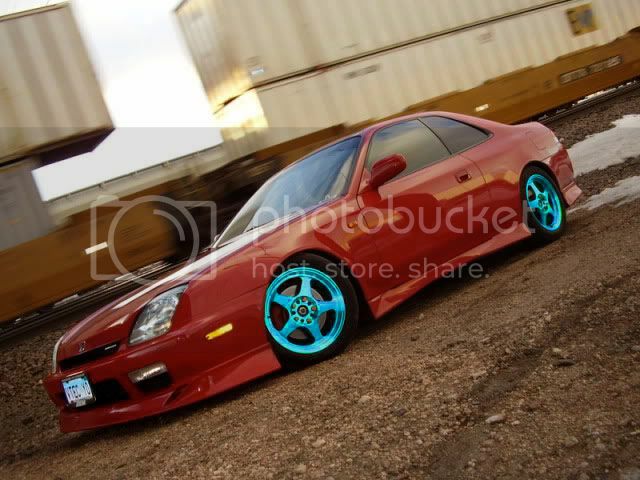 are you sure its gonna look good with your silver/black lude? Bleh. If that's not the right paint code, I hope nobody ever finds the right one. Half of florida is painted that color. Should be in any store that sells paint there. Last edited by bykfixer; 04-01-2013 at 09:30 PM. ^^You probably see schools painted that color... and shopping malls.. i'd bet the golden arches are teal in florida..
You guys have teal park benches and bushes? Starbucks sell teal coffee there? Teal bluejays? Oh wait, they're fushia aint they? Thank heaven Gotham city isn't in florida. Batman in teal tights? Ugh!! Last edited by bykfixer; 04-01-2013 at 09:37 PM. The closest named color seems to be "cyan". Not sure what paint brands provide car paints though? Suppose you could get a garage to match them to Pantone etc. looks different, i'd like it better if the car was dark grey tho..
that has a chrome to it. Those lugs do look a little bland on those rims... good eye ! Today I saw the first car I've ever seen with that color rim. Took a pic. So ironic.